These slags and handmades are in rough shape. One handmade is so beat up that I cannot even tell what the center might be. I wonder if it could be blasted with a torch and made so that it would be clear. I realize it might not be round, but it's a shame to just trash it. Some of the handmades would still be good enough as placeholers. Any suggestions for bringing life back into these? Jayne, Curious what you ended up doing with this bunch. I have a small box full too. If you outlined they were damaged, wonder if there would be any market for them. 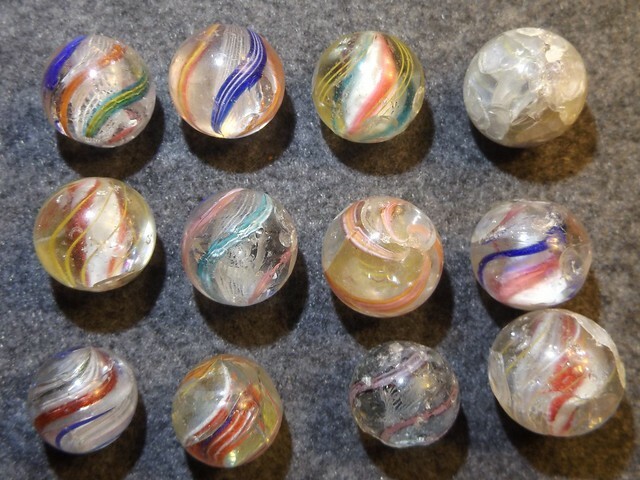 I can cull other dinged up marbles a lot easier than these. I haven't done anything with them yet. I have an idea for something, which I will share later, once I follow through. I personally have lots of damaged german handmades. I keep them in a gumball machine. They might be beat up but they still display pretty well. Would possibly be interested if the price is right.... I would love to fill up my gumball machine. Last edited by Zestysmarbles; 02-25-2019 at 08:07 PM. 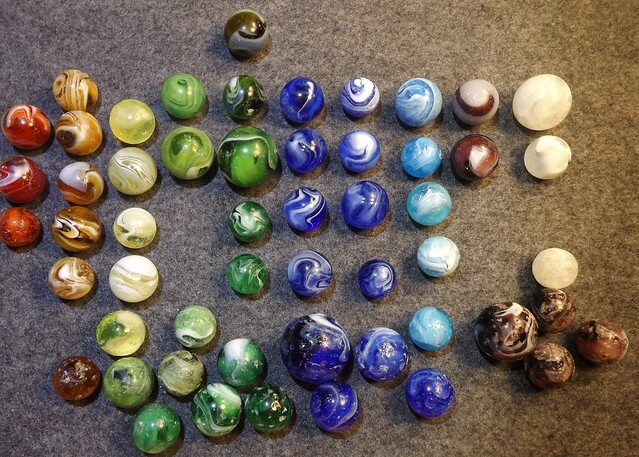 Vintage gumball machine with damaged marbles.